Located next to Yee Haw Ranch Outfitter on US-290 just on the edge of Fredericksburg. We bring you our 100% estate grown and produced wines to our friends in Fredericksburg. Taste our estate wines at our Fredericksburg location. Tasting lasts approximately 30 minutes. 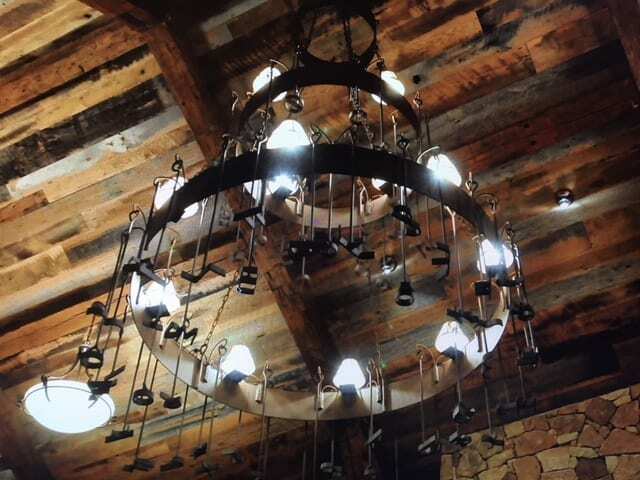 We are pleased to be working with Yee Haw Ranch Outfitters to bring you a big Texas experience with our 100% Real.Texas.Wine and Yee Haw’s collection of Texas style furniture, clothing, boots, hides, and taxidermy. You will be able to taste our wines and shop all in the same stop. Our new Tasting Room location is adjacent to the Yee Haw Ranch Outfitters. You’ll see the twin gray barns on the South side of 290, about halfway between Fredericksburg and the Wildseed Farm. The address is 3915 US-290 E, Fredericksburg, Texas 78624.